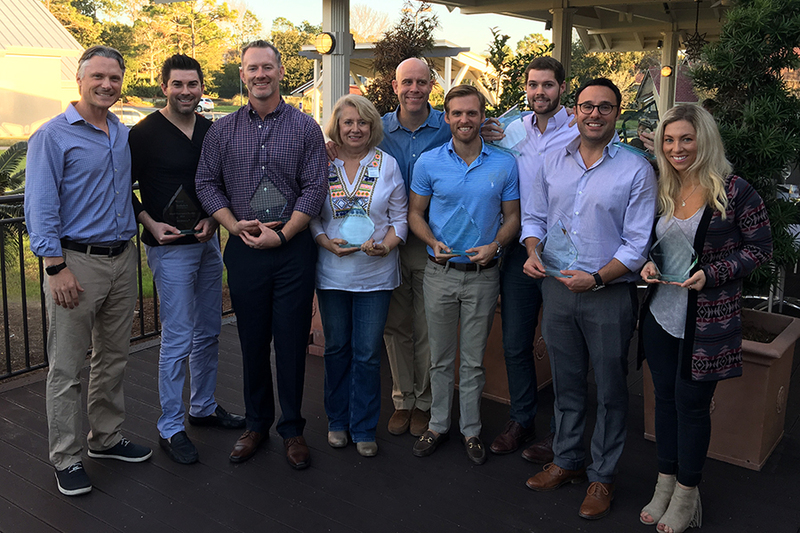 Our leadership team was pleased to present eight awards to the top performers of 2016 at Scenic Sotheby’s International Realty’s annual awards reception, held February 2nd at Bijoux in The Market Shops outside Sandestin Golf & Beach Resort. Adams closed nine transactions in his first seven months. Flannery closed $27,935,128 in sales for 2016. Joiner closed 29 transactions for 2016. Maberry is Director of Marketing for Scenic Sotheby’s International Realty, and has been with the company for 11 years. McGuire tripled his production during the second half of 2016, closing over $17 million in sales for the year. Jonathan Spears and his group (Sara Hinckley, CJ Adams and Caleb Spears) closed over 73 transactions for 2016, with both buyer and seller represented by The Spears Group in 10 of them, totaling $73,641,342 in sales. The group led the Emerald Coast Association of Realtors in production for 2016 according to data obtained from its Multiple Listing Service.